The right tablet case will provide protection for your tablet computer and make any brand and model of the device easier to carry and use. We rank 10 of the best tablet cases to help you select a case that will provide the protection and style you want. 1. What is a tablet case? A tablet case is a protective accessory made out of cushioning materials that protects tablet computers from bumps or falls and shields the screen from scratches. 2. What does a tablet case do? 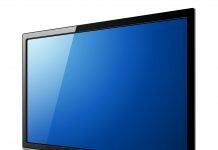 In addition to providing protection, tablet cases may also make it easier to safely transport these devices or prop a tablet up at an angle suitable for hands-free viewing or typing. 3. How does a tablet case work? Most cases wrap around or snap onto these devices. Cases designed for specific tablet models feature cut-outs that provide easy access to cameras and ports. 4. Where can you buy a tablet case? Purchase a tablet case from an electronics retailer that sells accessories or from an online marketplace. 5. 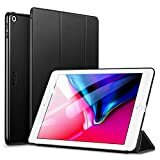 How much do tablet cases cost? Cases for tablets can be priced as low as $5.99 or as high as $50, depending on the brand, materials, and which device the case is for. We base our rankings on pricing, features, and customer reviews and testimonials. Most of the cases we review are made by manufacturers that sell designs for a variety of tablet brands. Even if the model in our review is not your tablet, we make a note of the other brands for which each type of case is available. Tablet cases priced under $10 may not be made out of materials that are as high quality as more expensive cases. The price of a case typically corresponds to the specificity of the design and the materials used. Most of the cases in this ranking are priced between $10 and $20, though some models with special features or heavy-duty designs range up to $49.90. MoKo is one of the top-rated tablet case manufacturers. The brand makes cases for many major tablet brands and models. This folding cover protector case has a synthetic leather exterior, soft interior lining, and comes in a variety of colors and designs. These cases feature cut-outs suitable for particular models and a stand for hands-free viewing or typing. When used on a compatible tablet, these cases automatically wake or put the screen to sleep and provide impact and shock resistance. Some models also feature holders for a pen stylus or Apple Pencil. The MoKo folio-style tablet case ranges from $9.99 to $13.99. Purchase MoKo cases on Amazon's marketplace from a seller called BSCstore. Most models are eligible for Prime shipping. ProCase makes slim and lightweight folio cases with external synthetic PU leather, microfiber interiors, and the ability to support a tablet at a natural angle. Universal tablet cases fit a range of devices based on measurements. Keep in mind that a universal case will not have specialized cut-outs for cameras or controls. 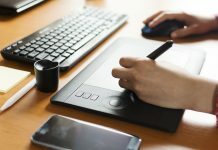 You may want to consider a brand- and model-specific case such as ProCase's designs for the ASUS ZenPad, Samsung Galaxy Tab, or Lenovo Tab. 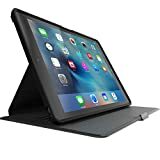 A universal 9- to 10- inch ProCase tablet case retails for $16.99. Specialized products range in price from $10.99 to $17.99. 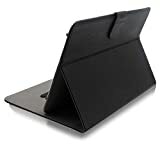 Order ProCase tablet cases from Amazon or other online electronics accessory vendors. Tablet owners seeking a heavy-duty case capable of providing 360 degrees of protection should consider Unicorn Beetle series cases by SUPCASE. These cases combine a hard polycarbonate shell with flexible TPU and a screen protector designed to prevent scratches while preserving sensitivity. SUPCASE makes cases with precise bezels and slip-resistant stands for Amazon Fire, Kindle, iPad and Samsung tablets. Heavy-duty SUPCASES are priced in the $24.99 - 29.99 range depending on the device the case protects. 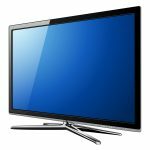 Purchase SUPCASES on Amazon, where most models qualify for Prime shipping and some qualify for coupon discounts. [Scratch Protection]: Powerful magnets keep the front cover sealed and your iPad safe from scratches. [Reliable Auto Sleep/Wake]: Stronger magnets ensure the auto sleep/wake function engages quickly every time. ESR makes lightweight trifold cases for iPads. 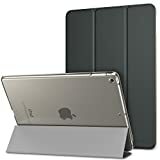 These affordable cases come in a wide variety of colors and feature a magnetic closure to provide automatic sleep and wake functions and to provide stability when standing the tablet. ESR iPad cases range in price from $12.99 to $20.99. Purchase ESR cases from Amazon. Most models are eligible for Prime shipping. Slim and lightweight hard back design adds minimal bulk while protecting your precious device. MoKo's line of smart shell tablet cases feature a translucent frosted back protector and many options for solid color or patterned folio-style screen covers. These cases do not have bezels around the screen, which allows for gesture swipes without restrictions. MoKo makes cases for most major tablet brands and models. MoKo Smart Shell cases are priced from $11.99 to $12.99, depending on the type of tablet the case is for. Purchase MoKo cases on Amazon from the seller BSCstore. Most of these case designs qualify for free two-day Prime shipping. Fintie's durable iPad Keyboard Case comes with a detachable wireless Bluetooth keyboard. This high-quality hard ABS laptop-style keyboard with spring mechanisms provides easy and reliable input for the 9.7-inch iPad and iPad Air 1 and 2. This case offers automatic sleep and wake functionality when the keyboard is not attached and features a kickstand for hands-free viewing and typing. Purchase this combined case and wireless keyboard set for $37.99. Find a full selection of Fintie cases for iPads and other tablets on Amazon. Belt-clip holster included that doubles as a kickstand for hands-free media viewing. OtterBox has a great reputation for making some of the most protective cases on the market. The Defender series features a three-layer design with an inner shell, outer cover, and touchscreen protector. These cases feature built-in screen protectors, port and jack covers, and a durable shield stand. Cases may range from $19.99 up to $45.99 depending on the tablet model. Purchase OtterBox cases from any electronics retailer that sells tablet accessories or online marketplaces. Built from premium composition leather exterior and soft microfiber interior - snug fit, durable and protective. This Fintie case designed for the 10.5″ iPad Pro provides reliable multi-angle viewing. This case has a durable synthetic leather exterior and microfiber interior with a magnetic strip to support automatic sleep and wake features. The price of this tablet cover varies depending on whether you choose a solid color for $15.99 to $16.99 or a patterned case for $17.99. 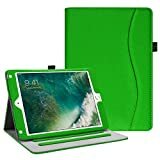 Purchase this Fintie iPad Pro case from Amazon.com. All colors and designs are eligible for Prime shipping. If you want the durability of an OtterBox with a lighter weight folio-style case, consider the Profile series. Profile cases are available in several color combinations for the iPad Air and mini models. This model is designed to allow easy access to the cameras on compatible iPad models and features auto-wake and sleep magnets. OtterBox Profile series cases for iPad Air or mini models cost between $16.95 and $29.95. Purchase Otterbox Profile series cases from the manufacturer, tablet accessory retailers or online marketplaces. 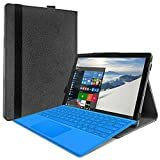 Microsoft Surface Pro users may be interested in a tablet case that is compatible with or without the Type Cover keyboard on the 2017 and 4 models. JETech's Microsoft Surface case features precisely aligned cut-outs, adjustable viewing angles, a pen loop, and hook and loop fasteners that secure the tablet in place. JETech makes highly-rated and affordable cases for major tablet brands including Apple, Samsung, and Microsoft. The JETech is a great value at $9.99 for the Microsoft Surface case. 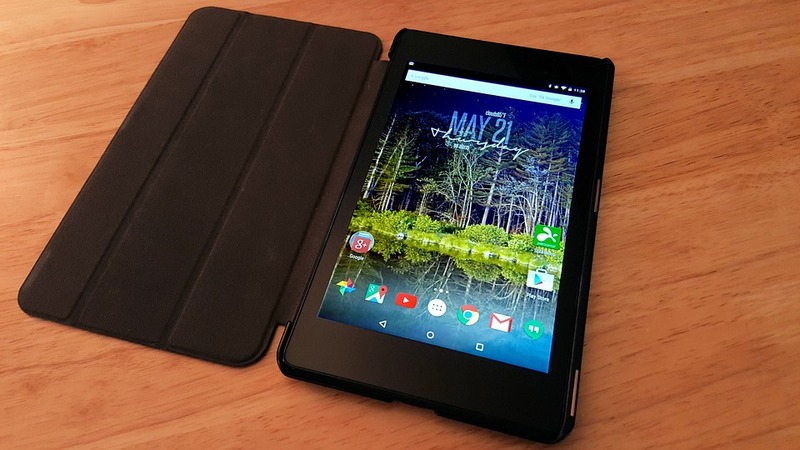 Models for other tablet brands range from $7.99 up to $14.99. 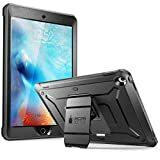 Order JETech tablet cases from Amazon. Most of the cases made by this brand qualify for Prime shipping. The MoKo Folio is a basic and affordable tablet case available for most major brands and models. MoKo cases provide a reasonable amount of protection for the price and are available in many colors and patterns. 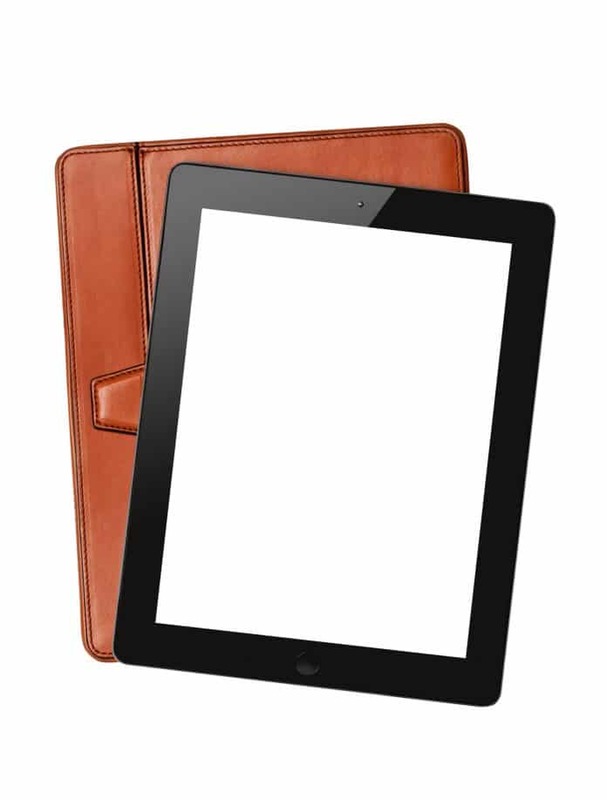 The runner-up from ProCase is also a great option, particularly if you order a case designed for your tablet model. A universal case will not support automatic waking or sleeping functions or provide easy access to cameras or ports. If you want more protection, consider the SUPCASE Heavy Duty Unicorn Beetle Series or OtterBox Defender Series of cases. 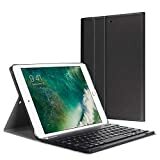 The Fintie iPad Keyboard Case includes a detachable wireless keyboard, while the JETech Case fits the Microsoft Surface Type Cover keyboard. No matter what your priorities are, one of these tablet cases should provide the right fit and make it easy to keep track of the accessories you use on a regular basis.